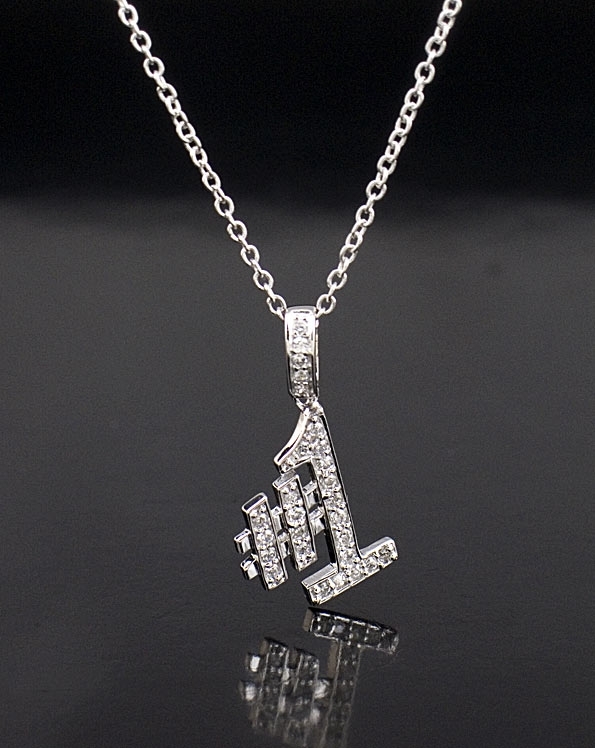 Sterling silver with platinum finish, pendant necklace. This sweet pendant and link are covered with cubic zirconia. Clasp closure. Perfect for a gift. Pendant measures: H: 2.3cm / 1", W: 1cm / 0.4"